Many of the legal terms used to describe a vehicle misdemeanor, such as OWI, DWI, DUI, or OWVI can be quite confusing. Lawyers are adept at disentangling and differentiating them, but in case you want to get to the bottom of things without hiring an attorney, here’s what you have to know. OWI stands for ‘Operating While Intoxicated’ and refers to the driving or operating of a vehicle while under the influence of substances that impair you in some way. If you are under 21, OWI charges could be brought against you in case you are pulled over by a police officer even without a blood alcohol test. Many states use the two terms interchangeably. However, in some cases, an OWI can be considered as less of an offense than a DUI, incurring fewer penalties. The laws are different depending on the state you are in, so let’s look at a few examples. If you are in Michigan, then you should know what the law states regarding OWI charges. In this state the two terms, DUI and OWI, designated the same thing – driving or operating under the influence of various substances. Compared to other states, in Michigan you have to have a blood alcohol concentration of at least 0.02%, in order to be charged with an OWI, if you are under 21. This means that a blood alcohol test has to be performed before anyone can claim that you are intoxicated. In case you are over 21, then the blood alcohol concentration has to surpass 0.08% for OWI charges to be brought against you. Alcohol is not the only substance that can get you in trouble. Drugs that are classified as Schedule 1, such as heroin or Cannabis, can also lead to an OWI charge. If this is your 1st or 2nd second OWI offense, then it will be classified as a misdemeanor. Depending on the blood alcohol content found in your system, the penalties can vary, with harsher ones for higher alcohol levels, if you get convicted. For a 3rd or 4th OWI offense, felony charges might be brought against you. Also, as with many other states, Michigan considers a felony the injury of another person while drunk driving. 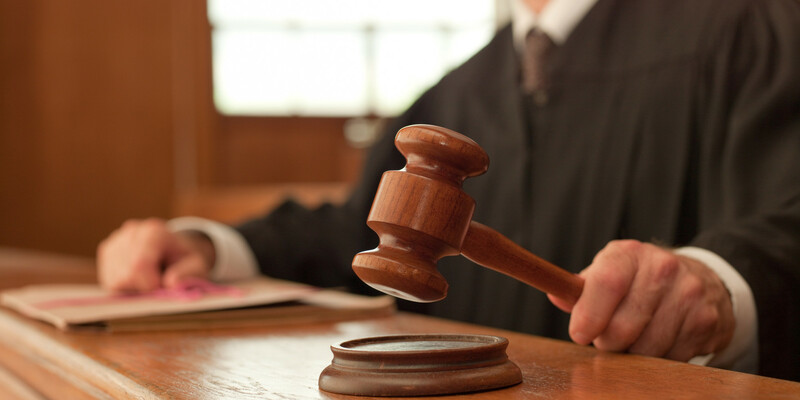 In this case, you might stand on the edge of an arrest before the sentencing process can begin. In case you are unlucky and get convicted of an OWI in Michigan, there are several types of penalties that can be applied. A first conviction may only lead to a fine of $100 to $500, and a suspension of your license for up to 6 months. In some rare cases you can also get arrested and serve 93 days in jail. Penalties for a 2nd conviction are stiffer. You license could be suspended for no less than a year, and you might spend a longer time in jail (5 days – 1 year). The fines are also higher, reaching $1,000. For a 3rd conviction you land as much as 5 years in prison and the fines can go as high as $5,000. Your license might also get revoked for a period of at least 1 year. Moreover, your vehicle could be immobilized for up to 3 years. In case your OWI charge is not a misdemeanor, but a felony, then you might spend 5 to 15 years in prison, depending on the severity of the injury incurred on another person. The fines could also reach $15,000. If you refuse to submit yourself to the testing of your blood alcohol level, you might still have your license suspended for a year. You could also accumulate up to 6 driving record points on your license. You can find yourself in the same situations if you are in Iowa. When it comes to the state of Michigan, an OWVI (Operating While Visibly Impaired) is less of an offense than an OWI. However, in the case of an OWVI the police officer does not have to prove the existence of a blood alcohol content level of more than 0.08%. A simple observation that shows you are driving in a chaotic manner and appear to be visually impaired is enough to get you arrested. Although the burden of proof lies on the prosecutor, you should still make sure you have a good defense by checking all the available guidelines or hiring a good lawyer. An OWPD stands for ‘Operating with the Presence of Drugs’. By definition, this offense applies to driving while under the influence of illegal drugs or narcotic substances, which should not be treated as toys. Misdemeanor charges can be filed in case you have ingested a drug that is classified as a Schedule 1 substance, such as LSD, ecstasy, or heroin. In case you have cocaine in your system, you might still be charged with an OWPD, even though this drug is a Schedule 2 substance. Wisconsin is another state that uses the two terms interchangeably. However, intoxication is defined in a specific manner in Wisconsin and penalties differ from those in Michigan. What Constitutes Intoxication in Wisconsin? There are four definitions of intoxication in case of the Wisconsin law. Having a blood alcohol content of at least 0.08% while driving. Being under the influence of an intoxicating substance, such as alcohol, illegal drugs, controlled substances, or legal-prescription medications that can be bought at the store. Having a restricted controlled substance in your blood stream. This applies to any detectable amount that can be found in your blood while you are driving a car. Being under the influence of a controlled substance or of other drugs while driving. Even though these definitions appear similar, they help ensure that all possible cases of intoxication are covered by WI law. For a first offense OWI in Wisconsin, you can expect a fine of at least $150, but it can go as high as $300. Your license might also get suspended for a period of 6 to 9 months. For more than one OWI offense, the penalties increase. A second OWI offense might lead to a fine ranging from $350 to $1,100, to jail time of up to 6 months, or to an obligatory attendance to a rehabilitation program. An ignition interlock device (IID) could also be added to the penalties for a period ranging from 12 to 18 months. In case your offense includes causing a deadly accident while you were intoxicated, then you should know that the Wisconsin law could sentence you to 25 years in prison and you might have to pay a fine of up to $100,000. Also, you might be faced with the revocation of your driving license. Unlike Michigan, the state of Wisconsin will revoke your license for a year if you refuse to submit to a blood alcohol content test. Moreover, your car will also be equipped with an IID. Being charged with an OWI in Indiana is the same as being charged with a DUI. The two terms refer to the same offense. In addition to the usual penalties you might be subject to if charged with an OWI, the state of Indiana also has a special law for OWI habitual offenders. A first OWI offense in Indiana might cost you an arm and a leg. If found guilty, you can expect a fee of minimum $330 and maximum $5,000, depending on the seriousness of your act. Imprisonment might also be on the table, but for no more than 1 year. Moreover, your license could be suspended for 2 years and you might have to attend mandatory alcohol treatment courses. The jail time period for killing another person while drunk driving in Indiana is smaller than that of Wisconsin – only 8 years. The same goes for the fine, only $10,000. If you have committed multiple OWI offenses, or a single one with a blood alcohol content of more than 0.15%, your actions will fall under the habitual offenders law. The suspension period of your driver’s license will increase in this case. For a 3rd OWI offense you can get a suspension of maximum 10 years. The District of Columbia is one of the U.S. areas where there is a clear differentiation between DWIs, DUIs and OWIs. OWIs: An OWI carries the least heavy penalty in the District of Columbia and shouldn’t keep you on edge. In case of an OWI, the government only needs to prove that you were under the influence of alcohol, regardless of the amount, or of whether or not you were actually impaired. The penalty in this case could be a suspension of your driving privileges. DWIs: A DWI or Driving While Intoxicated charge, requires proof of a blood alcohol content of at least 0.08% during the operation of the vehicle. As with an OWI, the government can charge you without actually proving impairment. DUIs: A DUI charge can be brought against you only if the prosecution can prove that you were impaired during the driving of your automobile. You could be charged with a DUI both for alcohol ingestion, but also for drug use. In order for a DUI charge to stand you will have to submit yourself to a blood alcohol content check which can be done either via a breathalyzer or a chemical blood testing procedure. If a blood sample cannot be collected, then a urine sample might be solicited. OWI laws can be quite tricky and sometimes judges might not do their job properly. If you are worried about this, you should know that lawyers have started to form Political Action Committees (PAC). These types of groups try to make sure that all judges are fair and impartial. If you suspect that a judge has treated you unfairly, you can talk to your lawyer about getting another judge to review your case. In such situations it is best to hire competent speakers to present your case. A lawyer could be such a speaker that also knows the whole kit and caboodle of rules and regulations. Now that you have all the information you might need regarding OWI, OWVI, DWI, or DUI, make sure you don’t go overboard with the alcohol before driving! It is best to just keep this information at the back of your head and not actually be in a position where you might have to use it. Hey Buddy!, I found this information for you: "All You Need to Know About OWI". Here is the website link: https://www.duiauthority.com/all-you-need-to-know-about-owi/. Thank you.